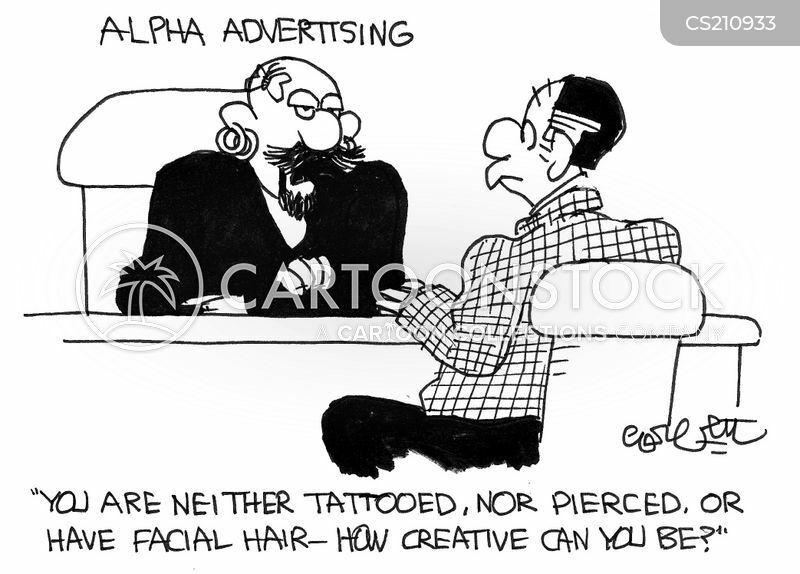 "I realize you were accustomed to breaking all the rules, but that was in advertising!" 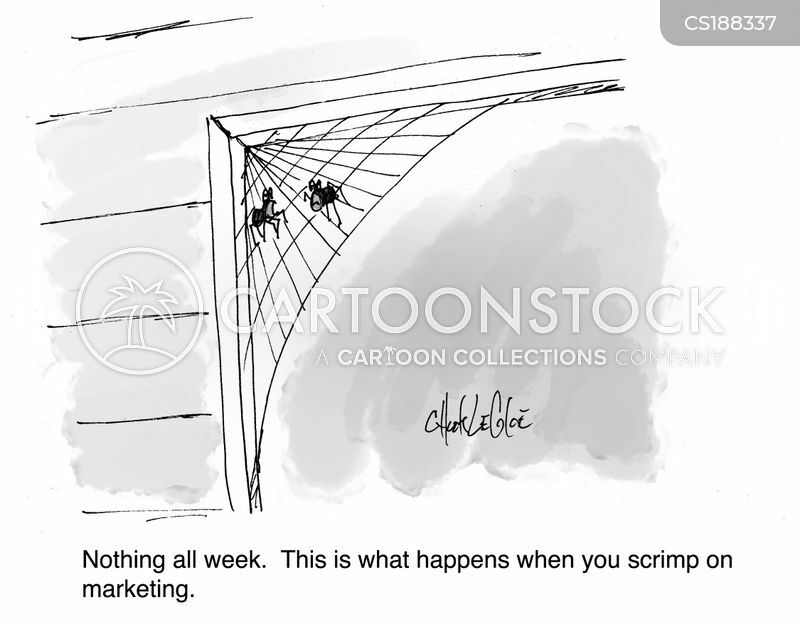 "Nothing all week. 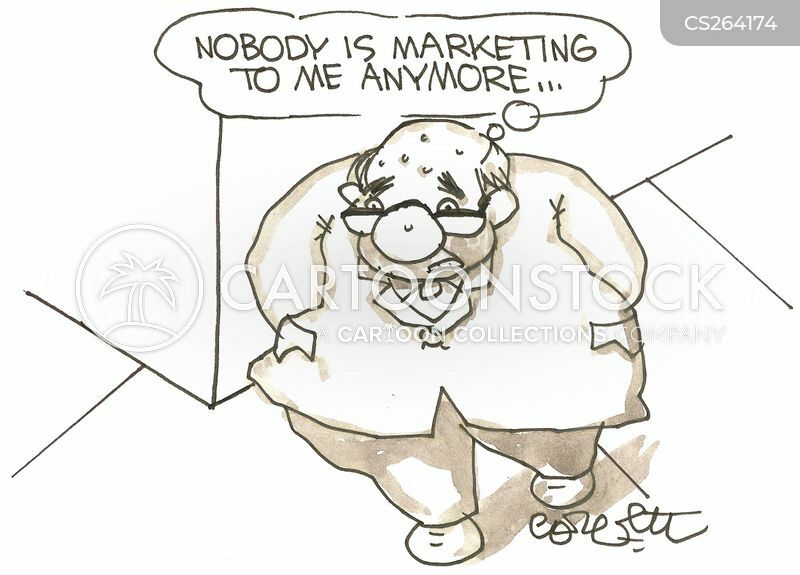 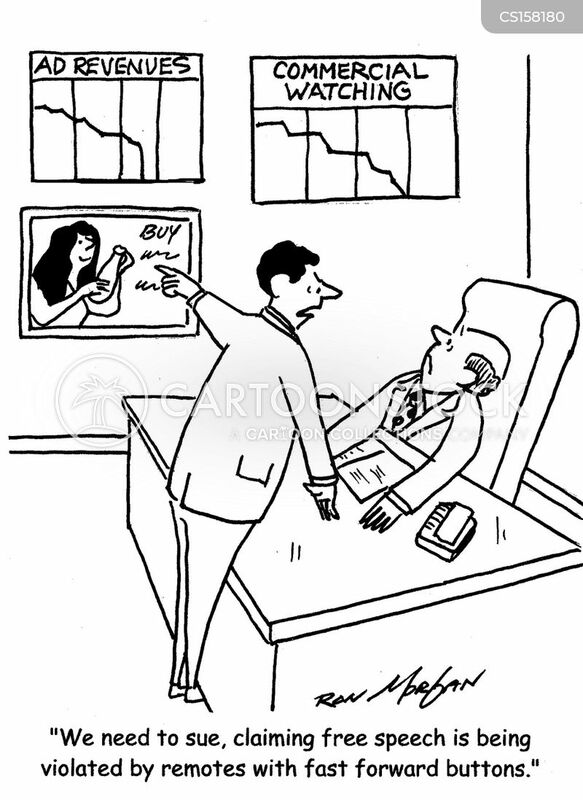 This is what happens when you scrimp on marketing." 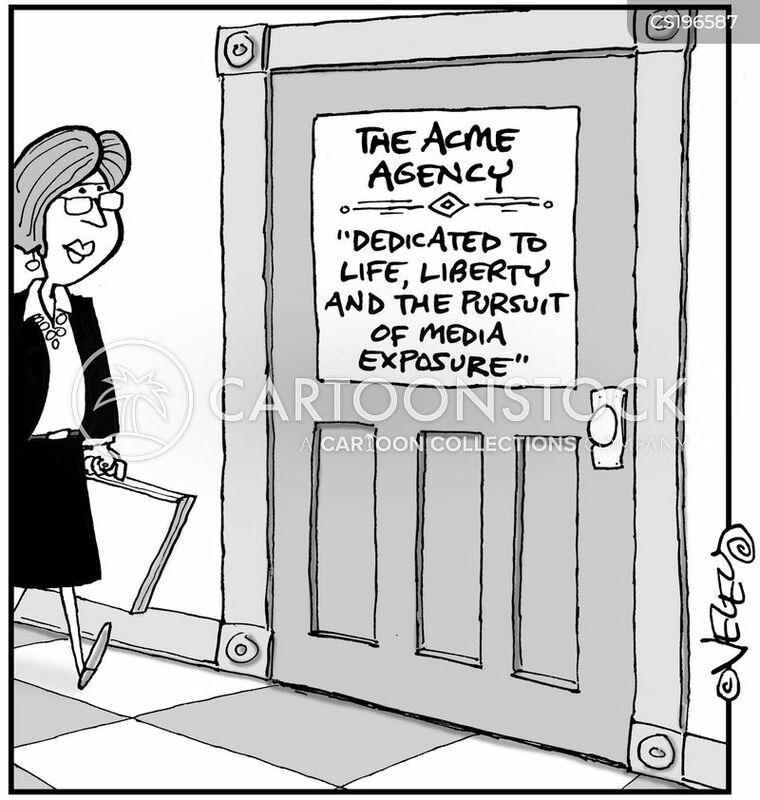 The Acme Agency: Dedicated to life, liberty and the pursuit of media exposure. 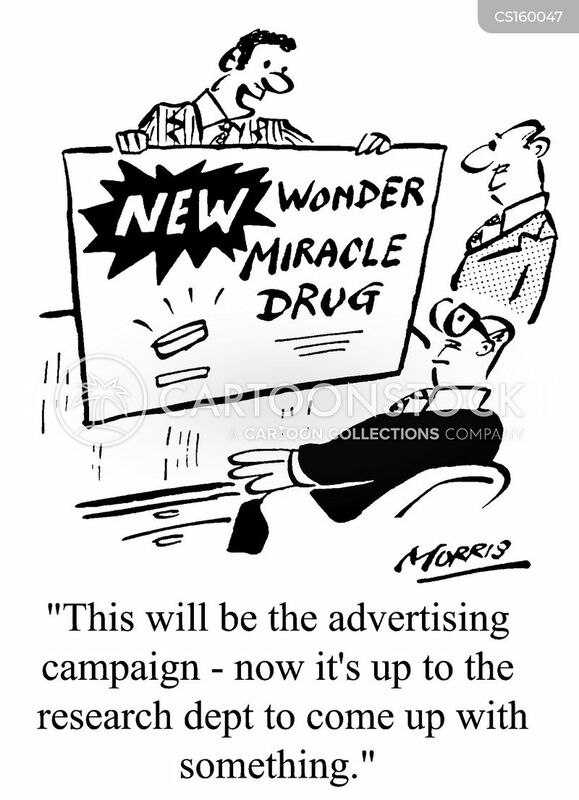 At the advertising copy department. 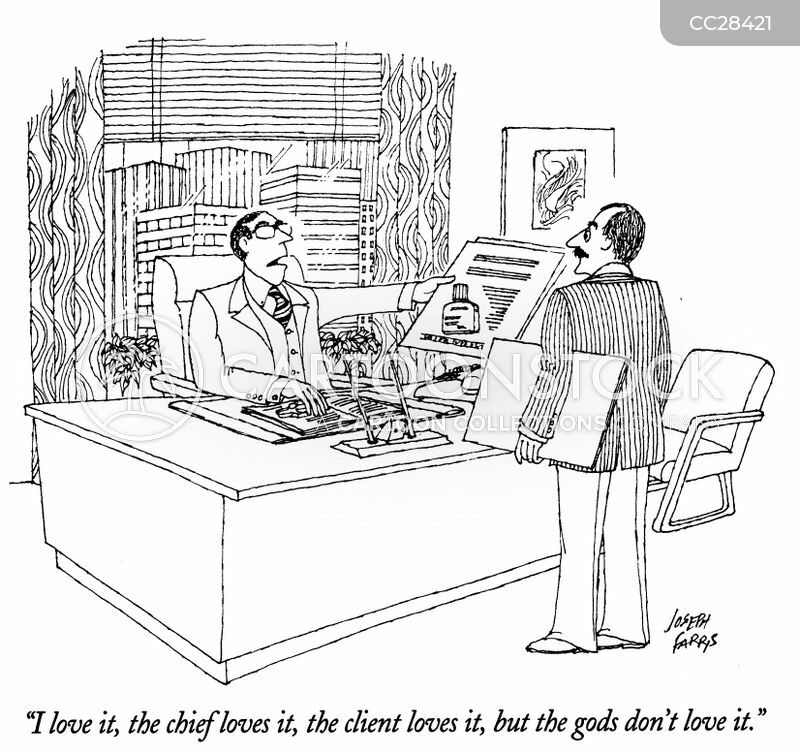 "I love it, the chief loves it, the client loves it, but the gods don't love it." 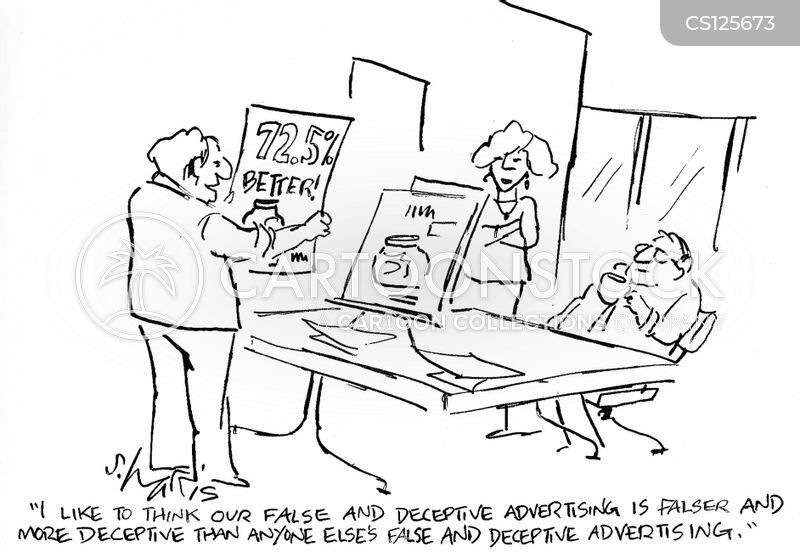 "We can longer be deceptive and misleading any more. 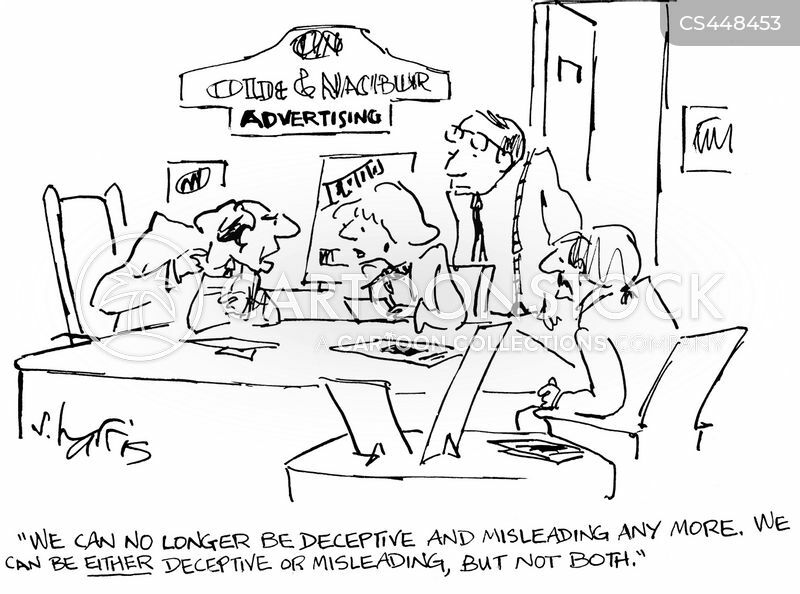 We can be either deceptive or misleading, but not both." 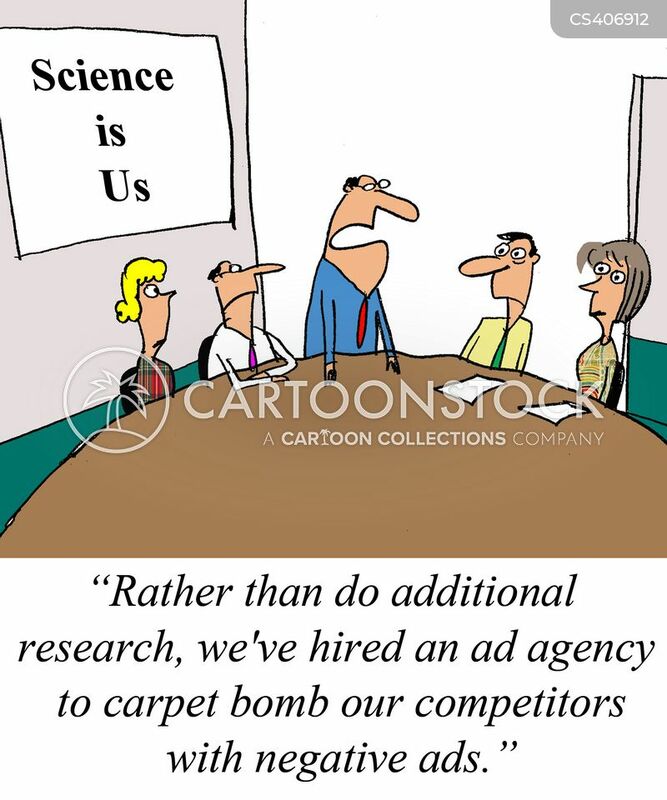 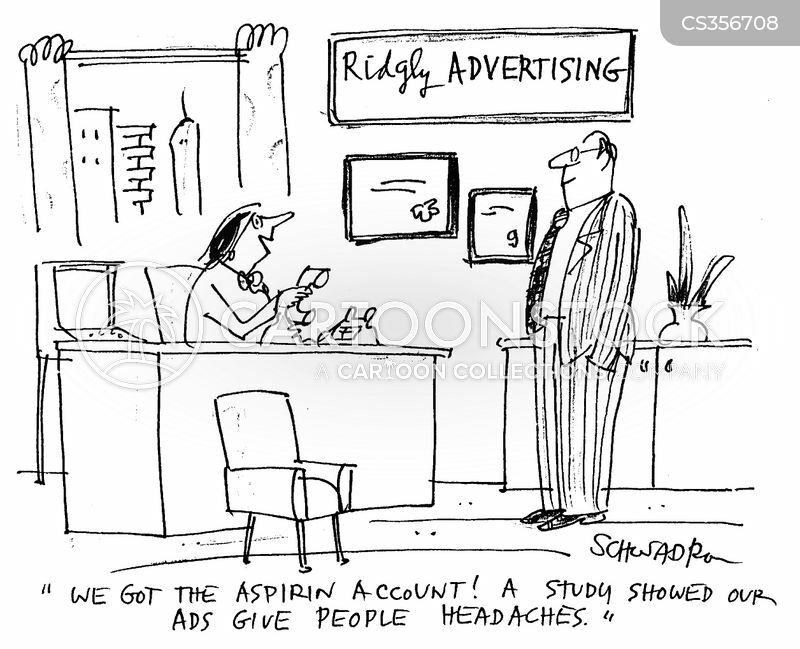 "A study showed our ads give people headaches." 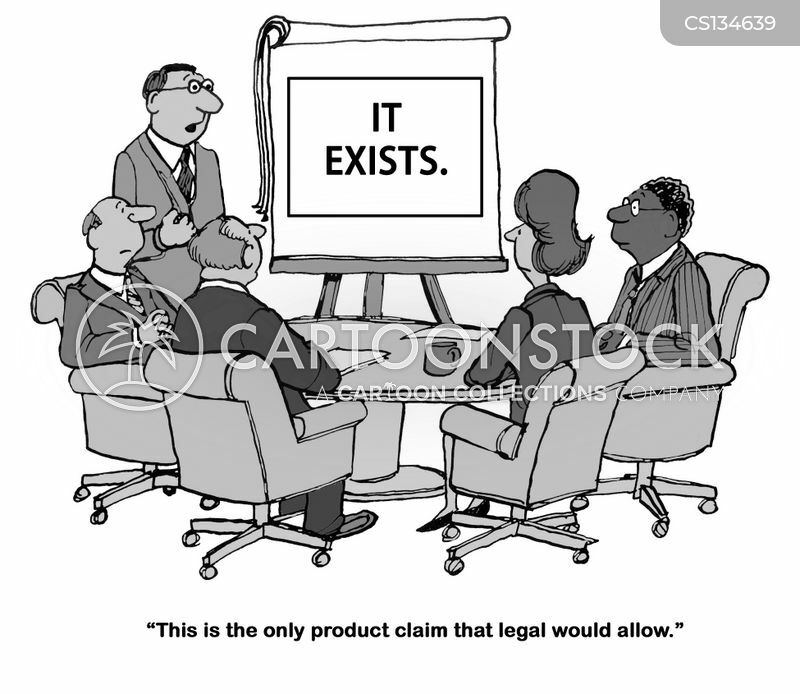 "This is the only product claim that legal would allow." 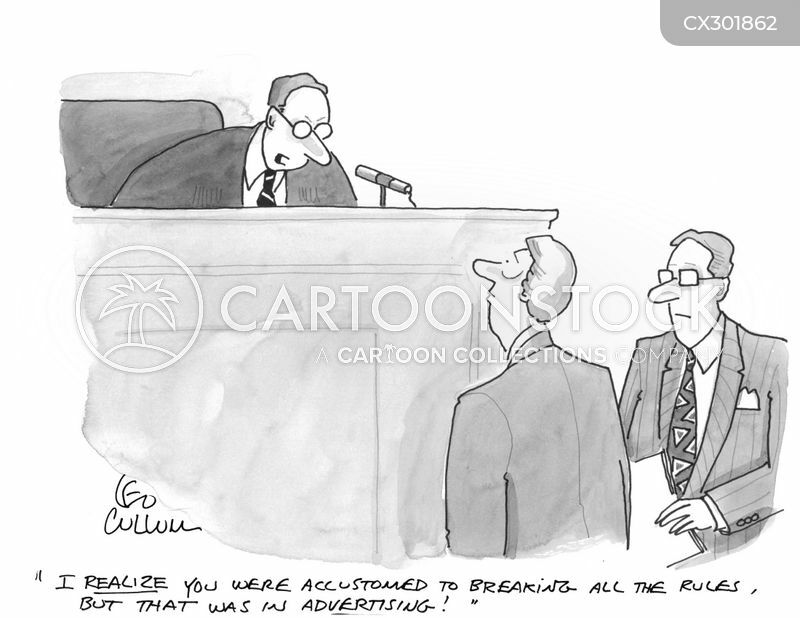 "We need to sue, claiming free speech is being violated by remotes with fast forward buttons." 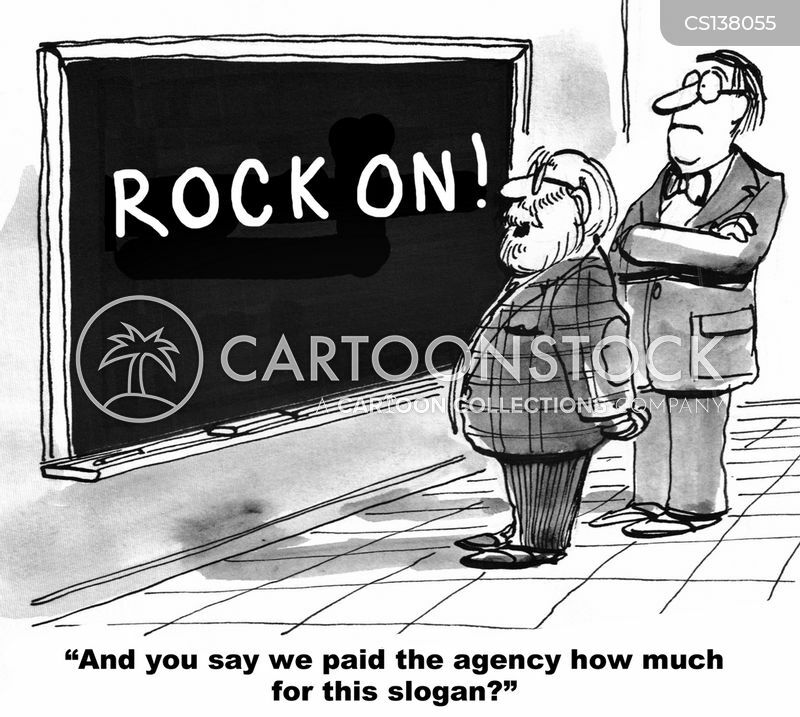 "And you say we paid the agency how much for this slogan?" 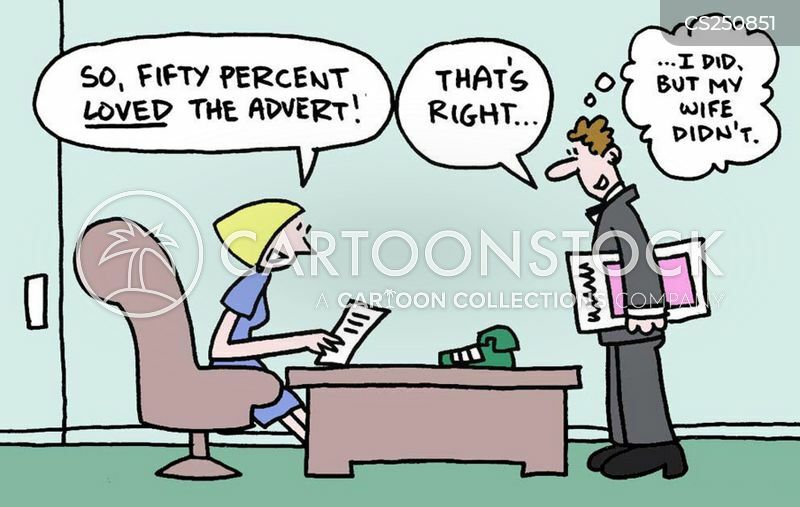 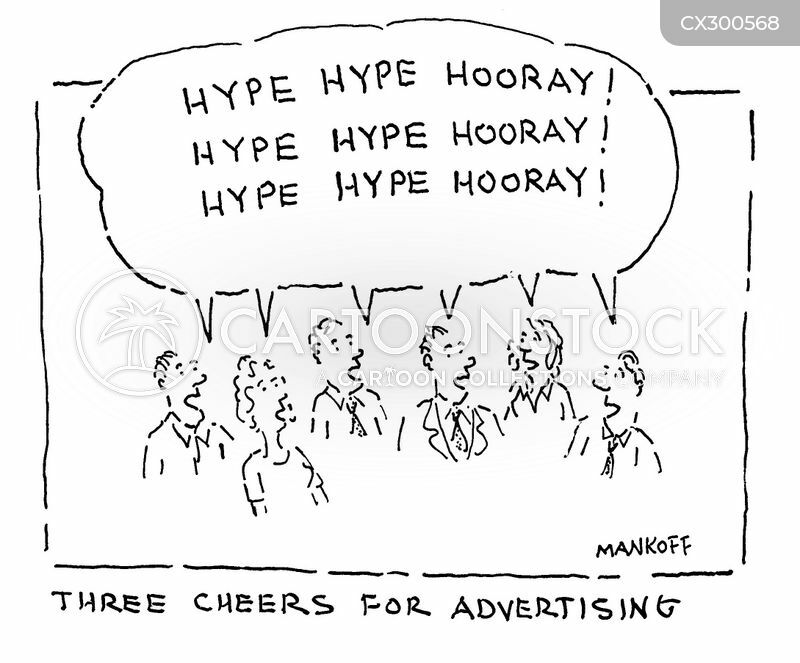 "So, fifty percent loved the advert!" 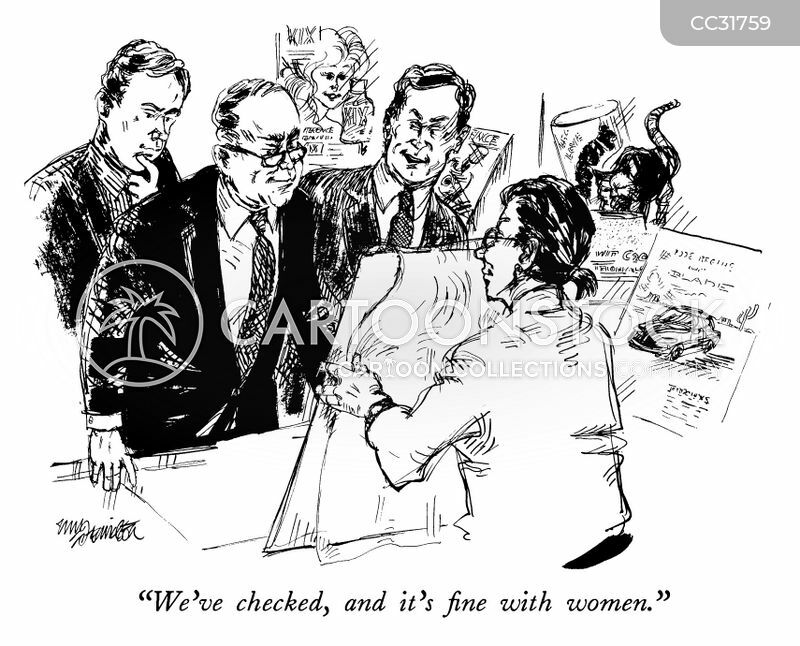 "That's right...I did, but my wife didn't." 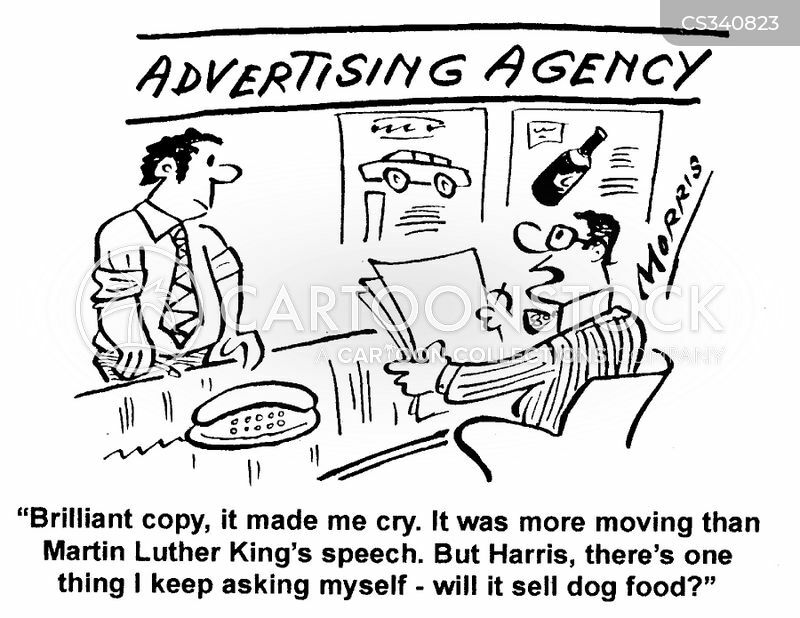 Advertising Agency - "...It was more moving than Martin Luther King's speech. 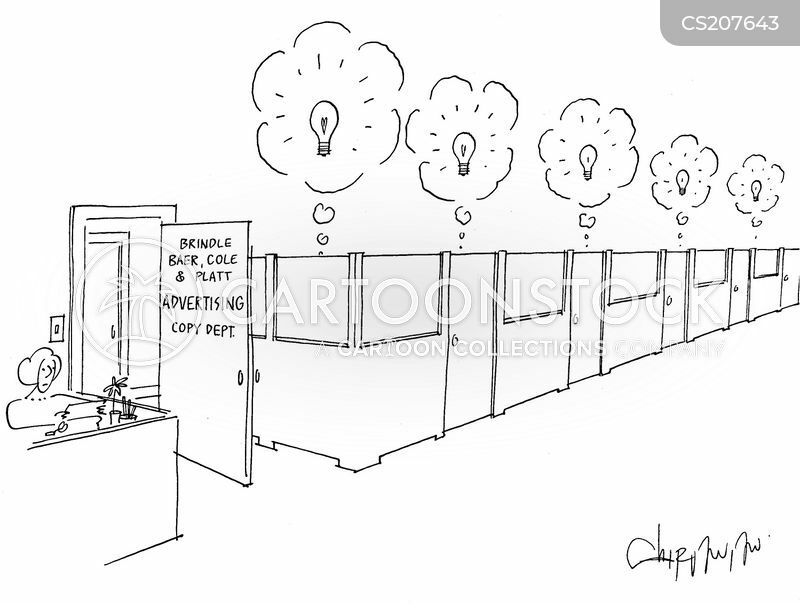 But...will it sell dog food?" 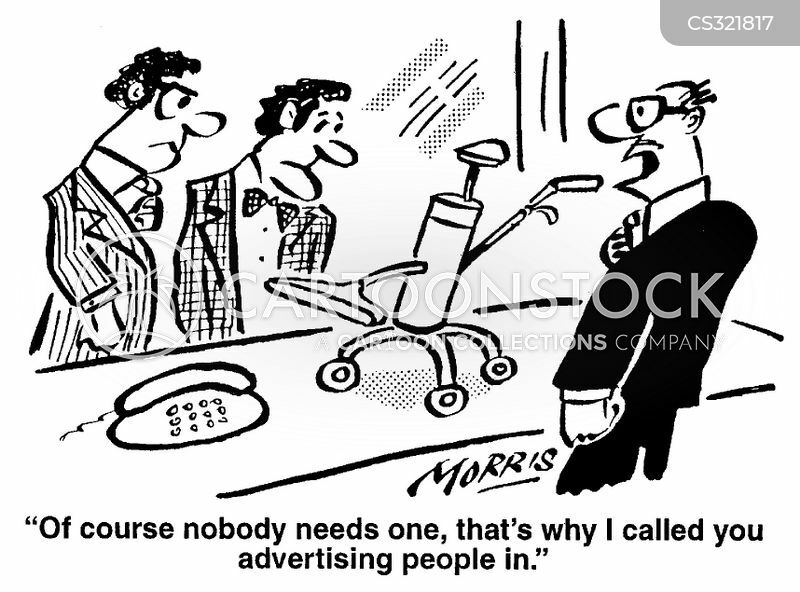 "Of course nobody needs one, that's why I called the advertising people in." 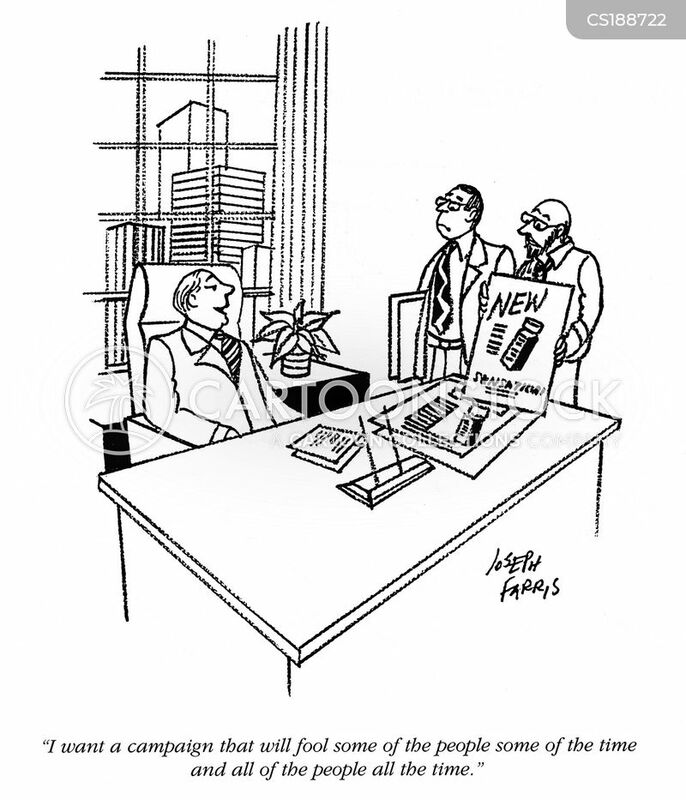 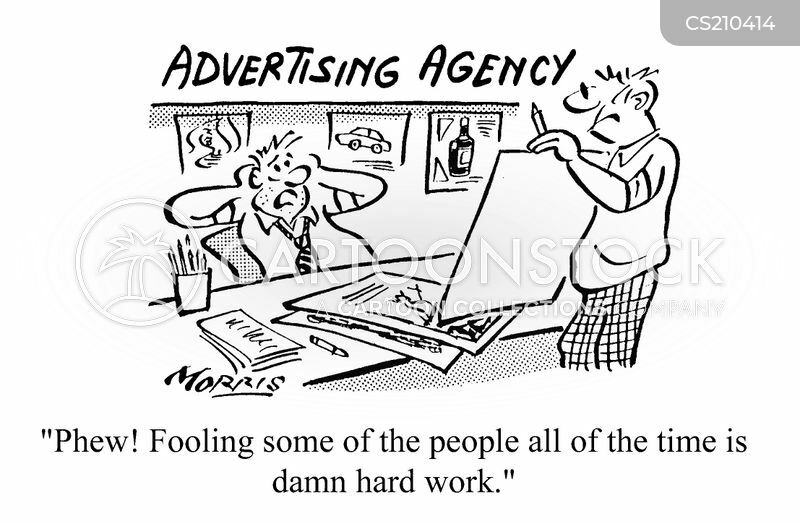 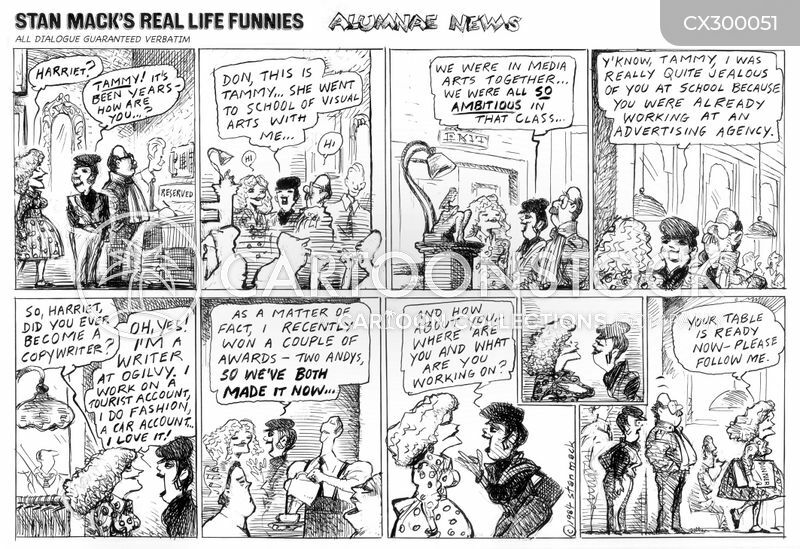 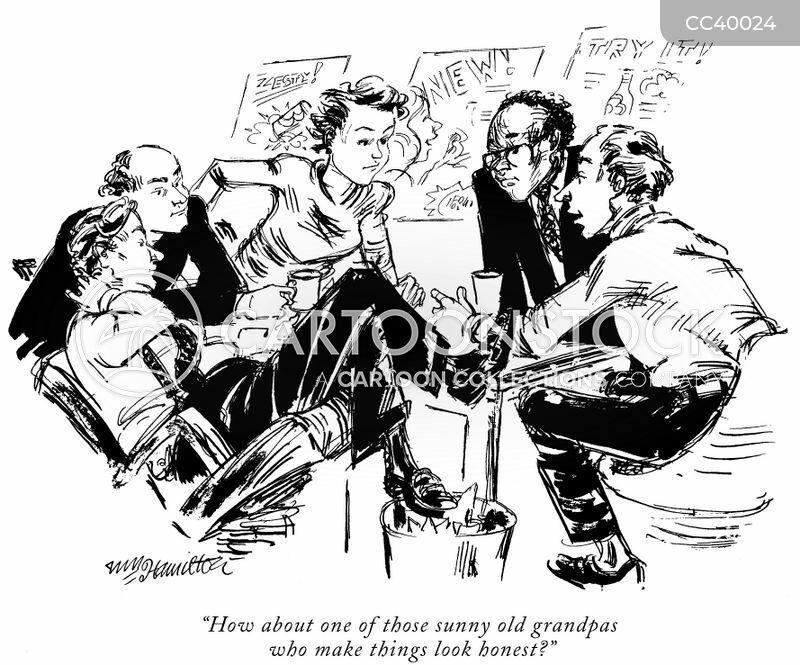 Advertising Agency - "...Fooling some of the people all of the time is damn hard work." 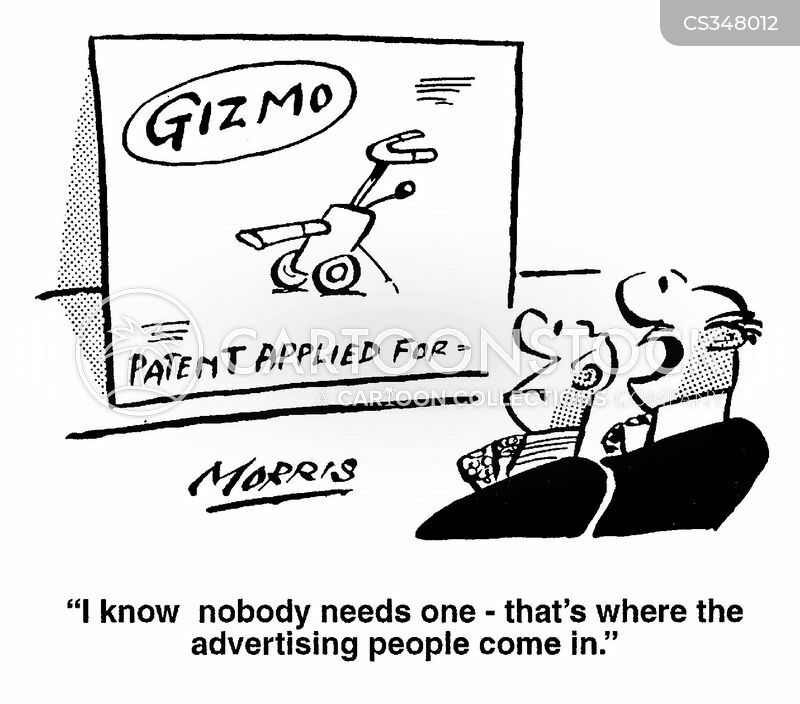 "I know nobody needs one, that's where the advertising people come in"